Brazil's economy has been on a tear for years. But its stunning showcase city is still full of shantytowns, right where the next summer Olympics are to take place. There's a popular saying here in Rio when you are stuck in traffic or standing in a long lineup, or whenever the everyday congestion of city life frustrates you, which can be quite often: "Imagina na copa." In other words, you think it's bad now, imagine how it's going to be during the World Cup! Soccer's World Cup is coming to Brazil in two years and Rio de Janeiro is one of the country's 12 host cities trying madly to speed up stadium construction, build better roads and add more hotel rooms. Some cities are already admitting they won't get it all done in time, and there have been constant public battles, even name-calling, between Brazil and FIFA, the soccer world's governing body, over the rules the host country has to follow. If that's not bad enough, for Rio, the pressure doesn't stop in 2014. Two years after the World Cup's closing ceremonies, the Olympics come to the cidade maravilhosa — the "marvelous city," as Rio's nicknamed. It will be the first city in South America to host the summer Olympics (which will technically take place in winter here), a huge honour for Brazil. But at the same time, there is a very real sense these days that the clock is ticking, and that the cost of meeting the Olympics lofty standards may be more than Brazil's showcase city bargained for. 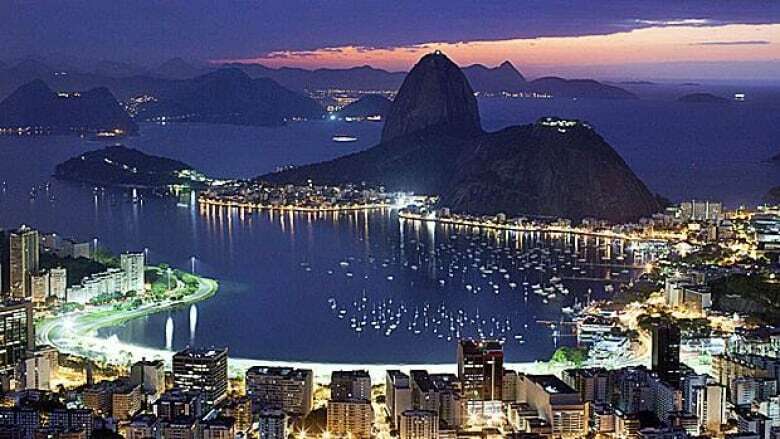 Rio ranks as one of the world's most stunningly beautiful cities. But when it comes to how it functions on a daily basis, its ratings take a nosedive. Underlying them are the unhappy legacies of having hosted the Pan American Games in 2007, when Rio ended with cost overruns of Olympian proportions and a to-do list of promised urban improvement projects that were never completed. It's also setting up a new rapid-transit bus loop and trying to bring formerly gang-controlled neighbourhoods — many of them exactly where the 2016 Olympics will take place — under police control. 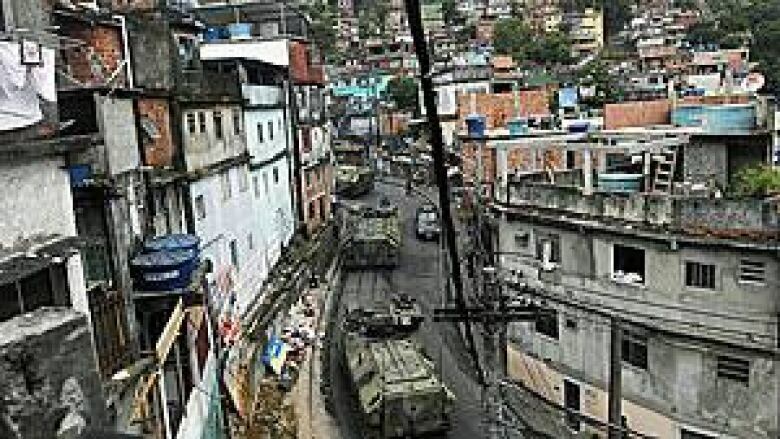 With the help of the army in some cases, police have essentially moved into 23 neighbourhoods in Rio, the congested favelas that were rife with drugs and petty crime — and just happen to be where many of the new Olympic venues will be constructed. According to government reports, murder rates have fallen dramatically in these areas since the pacification began. But there have also been recent concerns about police over-zealousness and corruption, and whether the program will continue once the Olympics are done. Maria Silvia Bastos, the head of Rio's Municipal Olympic Company, the organization responsible for coordinating the city's Olympic projects, says all this work will transform Rio into "the best city to work and live" by 2020. But Chris Gaffney's not buying that. The American academic is a visiting professor at the school of architecture and urbanism at the Fluminense Federal University in Rio and he has been studying the new transit plan for the last 18 months. He says it won't solve Rio's chronic traffic problems because it amounts to a loop that goes from one Olympic site to another with a connection to the airport. Gaffney is also skeptical of much of the promised urban renewal in the Olympic plan — which he sees as forced removals of people from poor neighbourhoods who don't always have anywhere else to go. As well, all the construction is having the usual Olympic effect on real estate. In other words, it has created a "bubble" that has sent housing prices skyrocketing here. 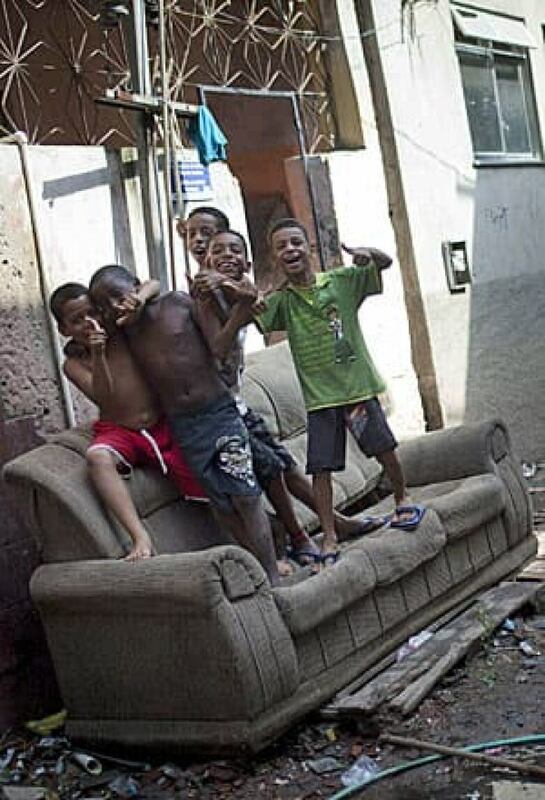 While some benefit, many are being forced to move further out of Rio's metropolitan centre. All in all, Gaffney says, Rio will likely shine for the three-week Olympic spectacle, but its residents may not end up with much in the long run. "When people look at Brazil, they think, 'Well, they have the money to do this,'" he says. "But what are the social consequences? Do these events prepare cities for the future? "The answer to that is a resounding no, because the planning stops in 2016." Rio's not new to this role. It hosted the Pan-American Games back in 2007 and Brazilian officials believe that was a key factor in winning the Olympic bid, specifically by having many of the high-end sporting venues already in place. But Rio's "legacy" from the Pan-Am games is also one of huge debt and a strong whiff of corruption. The original budget was supposed to be $177 million but is now being estimated at closer to 10 times that amount. Some politicians called for an investigation into where all the money went. It certainly didn't get spent on all of the infrastructure the city promised to build for the games — the new ring road, a light rail system, more metro lines, a new highway. Not one single kilometre of these projects were ever built. Nor was Guanabara Bay cleaned up, even though hundreds of millions of dollars have been dedicated to that site over the years. Rio promised to stop sending raw sewage and seeping garbage into that bay when it was chosen to host the first Earth Summit 20 years ago. Yet nothing much has changed. One of the first things to hit a tourist is the nauseating smell of the bay, which will be the site for a number of Olympic water events, as you drive in from the airport. Today, there are also serious concerns being expressed that some of the Pan-Am venues may not be up to Olympic standards. There's a debate here over what to do about the velodrome. Is it best to demolish it and start over, or upgrade specific sections? Either way it's going to cost a fortune, between $30 and $45 million, according to the latest reports. Mayor Eduardo Paes, who is up for re-election in October, says things are different this time around. 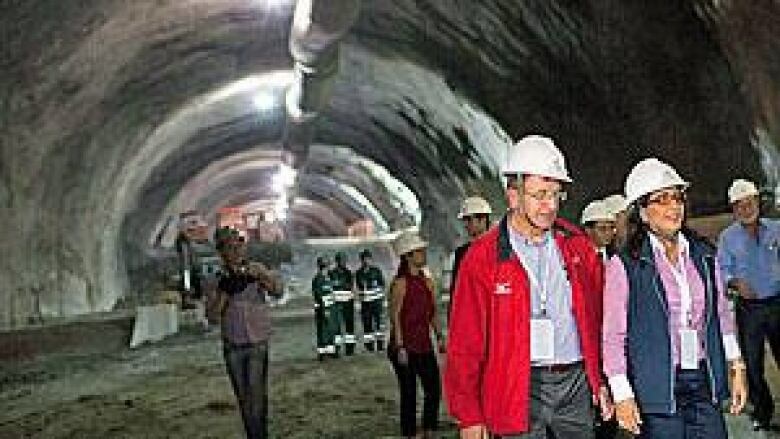 "What I want to underline is that the construction of all the (Olympic) projects we have committed to has been started," he told a news conference before heading off to London. The IOC, like World Cup officials, is keeping a close eye on Brazil's promises. A recent progress report, after one of the last IOC visits to Rio, praised the city for making "great strides" but also warned local organizers that time is marching on. Vote: Who should be Canada's flag-bearer?